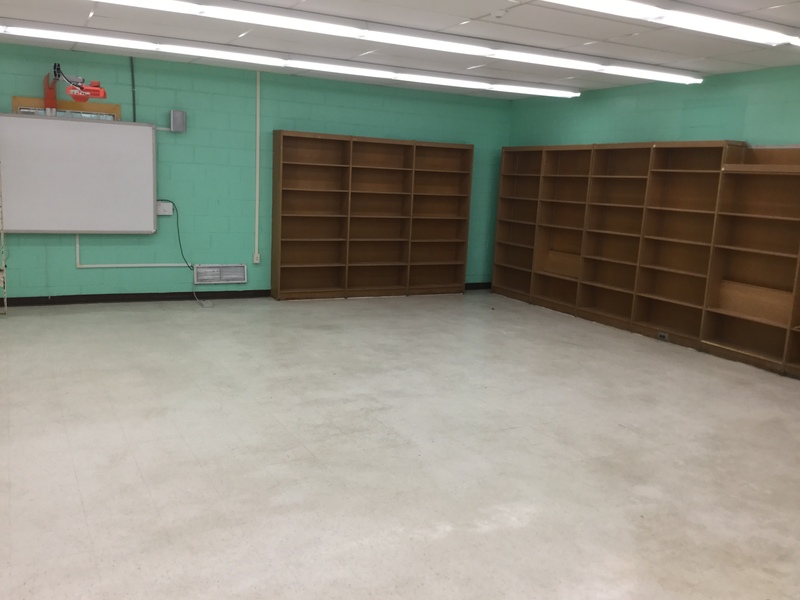 EMPTY SHELVES: The Alfredo Andrews Elementary School library in Estate Kingshill with no books. TOP PHOTO: Is John H. Woodson Junior High School’s library without books. CHRISTIANSTED — Ten St. Croix school libraries received grants totaling $525,000.00 from the second round of 2017 Disaster Relief Initiative grants given by the Laura Bush Foundation for America’s Libraries today. Grants totaling more than $1.3 million were distributed to 38 school libraries from Puerto Rico, the U.S. Virgin Islands, Texas, California, and Florida that were damaged in natural disasters last fall. Pollard said the grants were intended to supplement school libraries’ existing collections of books — not completely replace all of the damaged books no longer in the libraries. Arthur Richards Junior High School, Alexander Henderson Elementary, Eulalie Rivera Elementary, Lew Muckle Elementary, Alfredo Andrews Elementary, John H. Woodson Junior High and Pearl B. Larsen Elementary all have no books in their school libraries. Elena Christian Junior High, which has temporarily relocated to the Manor School in La Grande Princesse, and it not only has no books, but no space for a library, so $50,000 in Laura Bush grants intended for the facility are at risk. In response to a shattering season of storms and wildfires, The Laura Bush Foundation for America’s Libraries established the 2017 Disaster Relief Initiative to help rebuild school libraries that were damaged or destroyed in recent natural disasters in Texas, Florida, California, the U.S. Virgin Islands, and Puerto Rico. In January, the Laura Bush Foundation initially awarded over $850,000 to 17 school libraries affected by Hurricane Harvey. With the second round of 2017 Disaster Relief Initiative grants, the Laura Bush Foundation has now awarded over $2 million to school libraries devastated by the storms and fires that ravaged schools around the country last fall. In 2016 the Regional Library for the Blind and Physical Handicap (St.Croix) Received $105,000 Grant and as of Today, the Library has not received this funding. Office of Insular Affairs.Dept of the Interior. Will the over-site of 2016 happen again with the Laura Bush Foundation and the Various Schools Not recieve their designated allotments? The public library was from the Federal government. The Laura Bush Foundation is a private non-profit charity. The Regional Library (St.Croix) was closed December 2017. The Library was eventually opened after the Virgin Community found out that the Library was closed. The Regional Library recievied a $105,000 Grant in 2016 from the Dept of the Interior: Office of Insular Affairs.The Regional Library as of today 2018 has not seen any use of the Purcurement of the $105,000.